You sat down one day and started a blog. You were excited and had a million ideas about the articles you wanted to write. But now that you’ve been blogging for a while you realize that your blog name doesn’t really align with what you want to do. It doesn’t make sense. Should you start over? Nope. 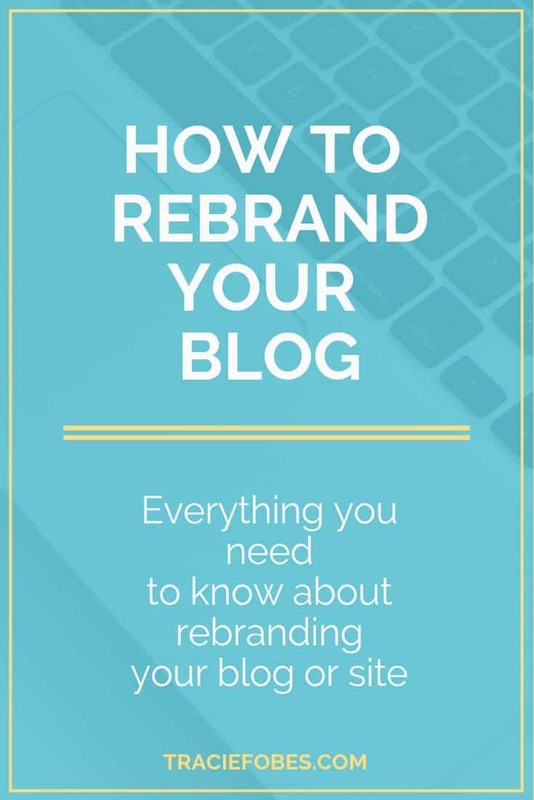 It’s time to rebrand your blog. There are many reasons why bloggers rebrand. It could be that the purpose and direction have changed or it could be updated to achieve long-term goals (such as selling the site). Whatever the reason, a blog rebrand can be a smart move. But you can’t just jump in and make the changes without keeping a few things in mind. Did you change your blog topic? Have you outgrown your blog name? Have your personal interests changed? Is your blog growing or stagnant? A rebrand is when you change your name or direction on your site. You could have started with a name that made sense initially but no longer does. For example, when I started my first site, it was Kansas City Penny Pinchin’ Mama. The problem was that people thought I could only help those who lived in the Kansas City area. Not just that, but the name was too long and hard to remember. I rebranded to Penny Pinchin’ Mom. Once I did that my blog took flight, and I started reaching a new audience. I was able to find more success with the new name. For me it made sense. But it may not always be wise to rebrand. Rebranding involves a lot of moving parts so before you decide to do so, make sure you consider everything. Ask yourself these questions before you make that leap. 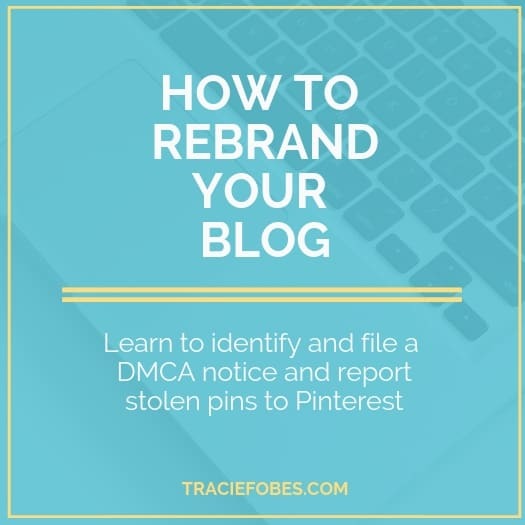 If you started blogging about one type of content but now want to do something different, it may make more sense to start a new site rather than rebrand what you currently have. Why? Because readers are there because of what you have done so far. If you up and change that they will be confused. If you are dramatically changing blogging topics, then it would be wiser to start a brand new site. However, if the topics are similar but taking a different direction, then you can go ahead and do that. Your readers may end up leaving, but you won’t lose them all. You may have started with a name that was a bit more niched or on one topic and have since made changes where the name just doesn’t make sense. If that is the case, then a rebrand will make sense. Ask yourself what you hope to achieve with your blog. If you want to make money and turn your blog into a business, then it may make sense to go ahead and rebrand. You need to put those goals in writing. They could be to make $1,000 a month or reach 25,000 sessions in 6 months. Whatever the goal, put it in writing and make it visible, so you see it every single day. When you start blogging, you may love one topic and over time learn about something new. There could also be a life event that takes you in a new direction. If your interests have changed, it may mean it is time to do the same thing with your blog. When you write about something you love, blogging is much easier. It is no longer work. It’s enjoyment. If you aren’t experiencing growth with your blog, it may be time to try something new. After all, the definition of insanity is doing the same thing over and over again, but expecting a different result. A new name and content can be the catalyst to get your blog to take off and take you down the path you wish to go. Once you know for sure that it is time for a rebrand, then you are ready to get started. In the next section, you’ll learn everything you need to do when you rebrand. Don’t skip any steps! They are all essential to ensure you do it the right way. Now that you are ready to rebrand and are confident it is the right move there are things you need to do. You want to do everything in the right order – so you don’t make any missteps along the way! You may already know what name you want to use when you rebrand – and that is great. You may also not be sure what you want to call your site. You only know that it needs to be something different. You’ll want to go back through the same steps you followed when you first began and came up with your name the first time. But you want to ensure it makes sense. 1. Make sure the name makes sense. Now that you are rebranding you want to make sure that what you call your site aligns with the content. You will not want to be Financial Mom if you talk only about self-improvement. That does not make sense. Ensure the name aligns with your mission. 2. Avoid cutesy spellings or the wrong extension. Make sure the name is spelled properly (i.e., coffee not koffee). You will also want to use the .com version and not the .net or .org. People default to the .com, and so using this will be more effective for marketing. 3. Make sure you can use the name. Do not use something similar to someone else or something that is trademarked, like Nike®, for example. You can’t use another brand name in your title. You will also need to make sure that another blogger is not using the name you want or something similar. Do some searches to make sure there is nothing similar to your name showing being used by another. You will also want to review the trademark office to ensure no one has trademarked the name, as you would not be able to use if that is the case. 4. Make sure it has not been flagged by Google. People use domains all of the time and then let them lapse. Unfortunately, there are times when the domain was used for spam. You would not want to use the name if that were the case as you would have problems ranking in search. 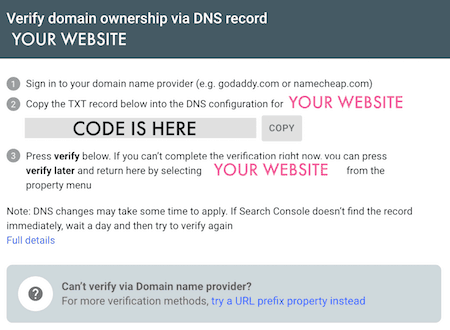 Check out this simple guide to find out if the domain name you want has been flagged or not. Once you know you can use the domain buy it as soon as possible! You don’t want someone else to buy it out from beneath you. Once you know the site name you want to use, make sure the social channels are also available. Review all of the platforms including Twitter, Facebook, Instagram, Pinterest – and any others that you may use to promote your content. If it is not available, you may want to reconsider the name or use a different spelling on social. Most people will click links to find you rather than type a name, so you can use variations and still see social media success. If you have a current site and pins that have been shared on Pinterest, then you probably want to move that content to your new site. After all, you don’t want to send readers to a page that no longer exists. If this is the case, your host can move the content from one domain to the other by doing a simple 301 redirect at the site level. You do NOT want to use a plugin for this. It must be done at the site level to ensure it is done correctly. Your host or a good IT person can do this for you. Keep in mind that you may have to pay for this service, so make sure to make some room for this in your budget. But, what if the old content has nothing to do with the new domain? What do you do then? You can just continue to renew the domain year after year and leave the old content on the other site. But, if even any of it needs to be on the new site, you need to transfer it to the new one. If you don’t want that content to be visible, you can set up a category that you do not use on your site. That will keep it out of any menu. You can also work with an IT person and ensure that category is excluded from your home page. Then it is not seen if someone clicks to your site and looks around. However, if they stumble upon an old link, they will not land on a 404 page, but instead, get to the content you previously wrote. Once you have purchased the new domain, you will want to update the design. If you are keeping some of the same content just updating the name, the simplest way for your readers is to change the title and logo. That way, the users do not feel they are on the wrong site due to a complete change of both a name and design. After a few months, you can change up the entire design — once readers know have had a chance to learn the new name. Once you have your new site up and running and the redirects from the old to the new are in place, you need to update your social channels. First, update the name and any images on your profiles. You want to make sure the right names show when people land on your social accounts. 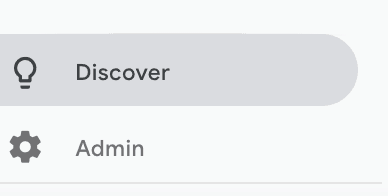 While in Pinterest, go into your settings and remove the old website you claimed previously and add the new one. You will need to follow the process they share to connect the two. Then, you will also need to add rich pins to the new site as well, so don’t forget that process. On Facebook update your URL in any groups or pages you run. You will also want to make sure you add the new URL to your about on your personal profile page (so people who check your profile in various groups will have a chance to see where you blog). One thing many readers forget about when rebranding is that you need to update Google. You will need to this in both your analytics and search console. Log into Google Search Console. You will see your property listed in the top box and there is a down arrow next to that. Click the down arrow and select Add a New Property. The next screen will allow you to select either just the specific URL or all formats and subdomains under the URL. 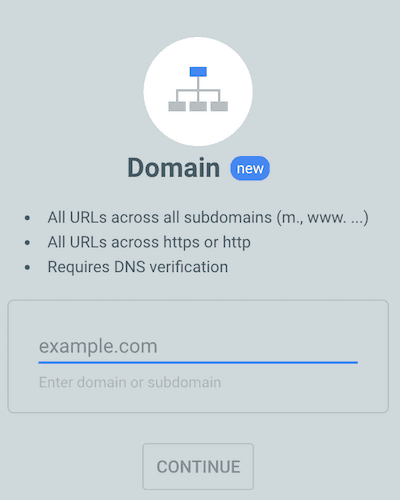 You should choose Domain so that you get all versions and settings for any links under your primary domain. This will be more inclusive. You will see a code is provided to you. You will add this to your DNS configuration (you can see how to do that here). The last step is to request an address change. You can only do this through the old version of Search Console, but it is very easy to do. The process can take up to 180 days to complete, but at least Google is aware of the change. Learn more about how to move your address through Search Console. You also need to update your Google Analytics so you can see your traffic sources and pages. 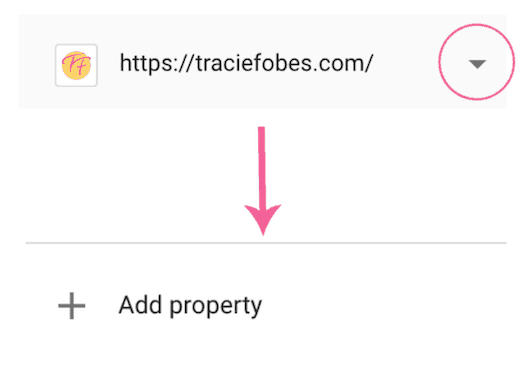 If you want to continue to monitor old traffic to the prior site (you are keeping it and have a new domain), you need to set up a new property. However, in most cases, you need to update the URL settings. That means you don’t have to change out the code on your website and it will start to track immediately. Log into your Google Analytics and navigate to Admin and select the property you wish to change. o into Property > Property Settings. 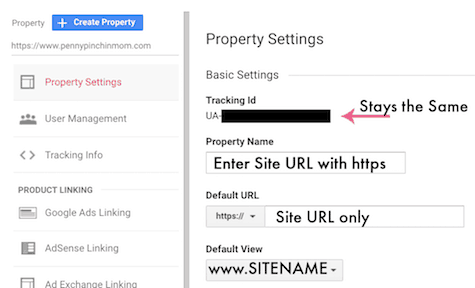 Update the URL address for the property you wish to track. Save your changes! Now your site will be appropriately tracked in Google Analytics. If you are using affiliate marketing, you will need to update the site URL and your email address. You will also need to review the sponsor sites you use as well. Review your current income reports or statements and update all sites according. You will also want to set up the new email for your domain through GSuite. That allows you to use GMail to check your inbox quickly and easily. The way you do this varies from host to host. Google has an easy tutorial you can follow that will guide you through how to set up at GSuite account and connect your email. Once you have everything done, it is time to let your readers know. 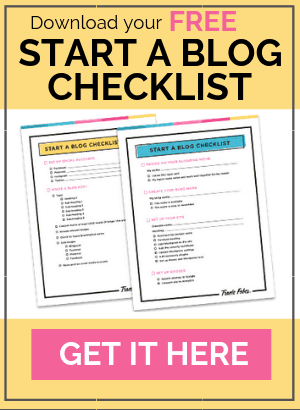 Do a blog post for visitors and send an email to your list. Tell them why you made the change, so they know what to expect. You may lose some subscribers, but that is OK. If they aren’t interested in your new content, they would never buy from you anyhow. Better to cull the list and only pay for those who want to be on your list. That’s it! You’ve just successfully rebranded your site! When you follow these steps, there should be minimal downtime or loss of traffic to your new site.